This page is a selection of strategic management articles from our Applied Corporate Governance website and blog, including permanent features, like our third Golden Rule of corporate governance (the importance of strategic management), and some timeless case studies and blog archives. The first of three permanent strategic management articles, complete with graphical process-flow model, summarising the principles and practice of strategic management. Our third Golden Rule of Corporate Governance, supporting the premise that fundamentally, good governance means good management and therefore good strategic management. Our fourth Golden Rule states that in order to deliver the agreed strategy, an effective organisation is required, another fundamental part of strategic management. Looks particularly at the strategic and operational dangers inherent in the bid. Starting with a brief history of the UK co-operative movement, this article provides an in-depth analysis of the fundamental, strategic problems at the Co-operative Group based on first-hand knowledge. Two articles highlighting strategic management issues breaking our Golden Rules and leading to the exit of long-standing Chairman Dr Gerhard Cromme. Strategic management in (in)action: the impossibility of creating and following a strategy when there is no clearly agreed goal. What happens when the strategic management process is allowed to slip? Here we look at HP and Autonomy for an example. Why not subscribe to our site to keep up to date? You can use your favourite RSS reader or fill in the short form at the top right of this page to receive occasional email updates. You can also follow us on Twitter, LinkedIn and Facebook. 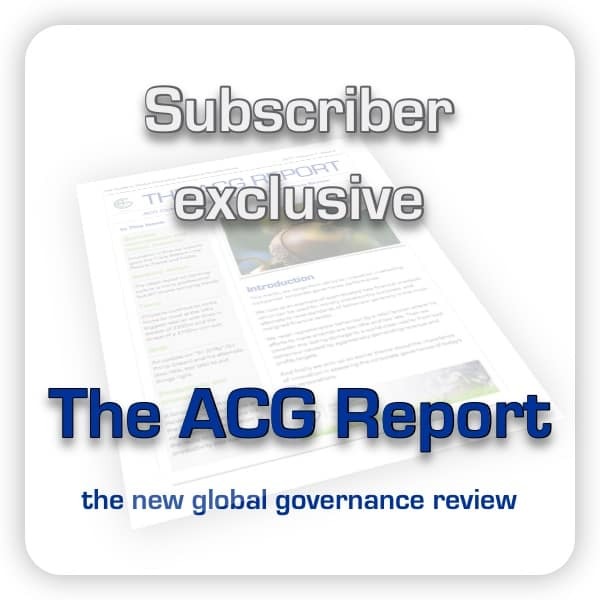 There is also a wealth of information and help on how to implement strategic management in your organisation, including corporate governance, in our ACG Corporate Governance eBook Course.